Investors expecting a sizable return from their properties are in for a rude awakening. The five-year lull in the residential rental market seems set to continue, with buy-to-let investors still grappling with tepid rental growth and rental yields on properties. The 2015 annual rental report by PayProp, SA’s largest processor of residential rental transactions, shows that rental yields – a key metric showing a rental property’s return on investment for buy-to-let investors or landlords – are still under pressure. Rental properties for the fourth quarter of 2015 delivered a gross yield (before property costs like rates and taxes are accounted for) of 7.11% – a slight improvement from the previous quarter’s 7.06%. While the net yield (after property costs are accounted for) reached 5.03%. The net yield is considered to be a true reflection on rental returns. To make matters worse for landlords, there has been no recovery in rental growth from the double-digit growth of about 13% seen in 2010. Rental growth has since dipped to 6.12% for 2015. Consumer affordability is at play, hence a lacklustre rental market. Residential upkeep costs such as water, electricity and rates and taxes, are rising fast – even faster than rental growth – and landlords cannot haphazardly increase rent in response. Cash-strapped tenants are also battling with rising debt, interest rates and living costs, making it difficult for them to make room for further rental increases. According to PayProp, the average tenant spends roughly one third of their pre-tax earnings on servicing debt, juggling eight store accounts and three high-interest personal loan facilities. PayProp’s calculations show that an average tenant has a monthly income of R30 552, with debt repayments accounting for R10 620, rent R6 576 and R6 110 for taxes. Investors expecting a sizeable return from their properties are in for a rude awakening, with PayProp expecting rental increases to hover in the 6% to 7% band. Net yields are likely to remain stable at 5% to 5.5% – levels last seen in 2013. The average national rent moderately increased from R6 264 in January to R6 616 in December, but values can vary quite significantly from region to region. For example, the Northern Cape is the most expensive province in which to rent, with average rentals fetching R7 438/month with the cheapest area being the North West (R4 703/month). The Northern Cape has also recorded the highest rental growth of 11.4%. See the rest of rankings below. The Northern Cape’s dominance is due to the insatiable demand for rental units. However, mining companies there that provide housing units for employees, are feeling the pinch from the decline in commodity prices. Although the latest Stats SA figures show there are more than 1.5 million properties being rented in the formal residential rental market, there is a growing shortage of rental units in the market. In theory, shortages should have a positive spin for rental growth, but this isn’t the case. Underscoring the demand and supply dynamics is credit bureau Tenant Profile Network’s (TPN) survey of landlords and property managers. In it, 73.44% of respondents indicated a strong demand for rentals, while 50.21% reported an average supply of rental stock. Despite tenants falling under pressure, those in good standing (who pay their rent on time) improved slightly to 84.97%. Even with a large pool of tenants in the market, not all of them are quality tenants, she warns. 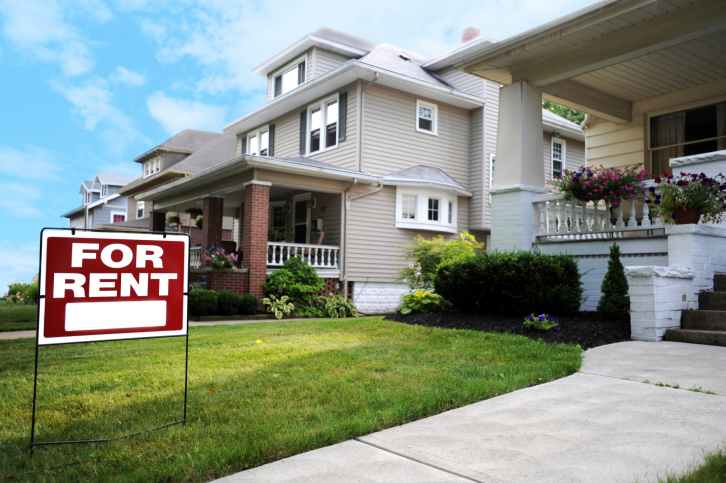 “Landlords are now discerning in their tenant selection and are aware of taking a delinquent tenant. They are also prepared to accept low rental escalations to keep good tenants [rather than having] a vacant rental unit,” Dickens explains.